Dementia is a condition that has become all too common for aging Americans. However, this disease doesn’t simply happen overnight. There can be many early signs of dementia, and the signs of this illness can show themselves in many different ways. First, what is dementia? 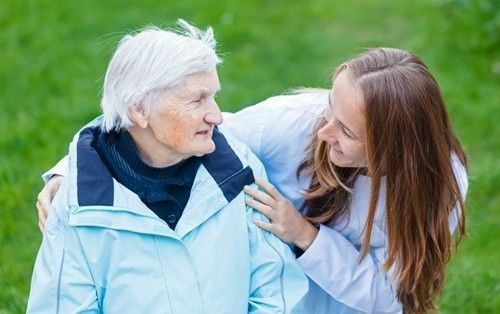 According to the Alzheimer’s Association, dementia is an umbrella term for a decline in mental ability that is necessary for day-to-day function. Although there is no specific disease related to dementia, Alzheimer’s accounts for 60 to 80 percent of all cases of mental decline. Since dementia is a progressive disease, you can listen to your body and take steps to slow its progression before it reaches the late stages. Learn more from the early signs of dementia checklist below. Some people who struggle with dementia have problems reading or experience issues determining colors and contrasts. They may also find it is difficult to drive due to problems with spatial reasoning and judging distance. This is usually due to vision changes that are linked to dementia. Vision issues can cause significant problems with everyday tasks and one’s ability to stay mobile. Many family members and friends have noted that one of the major signs of dementia is a change in their loved one’s mood or personality. People who were always joyful and happy when they were healthy may become confused, suspicious, depressed, fearful or anxious when mental decline begins. This can be even more of a struggle when in environments that are out of their comfort zone. Because of this, people in the earlier stages of Alzheimer’s will often stick to a very specific routine and become annoyed or anxious when their schedule is interrupted. Another important side effect of dementia occurs when a person experiences changes in his or her judgment. This can lead to serious issues with the way one handles money. For example, a person who was usually on-time with payments may forget to handle monthly utilities, or give large sums of money to telemarketers when he or she typically avoided such activities in the past. If a person develops dementia or Alzheimer’s they may eventually be unable to manage the household bills. One warning sign that is extremely common for individuals in the beginning stages of dementia is placing everyday items in strange or unusual places. This is usually due to a lack of connection between space and time. Once they begin to lose these things, they may be unable to trace back their steps so that they can find the item. Unfortunately, this is one of those symptoms that progresses over time as dementia worsens. Even if it is recently learned information, individuals with dementia will have trouble recollecting these thoughts. This can happen in the long or short term. For example, mental decline may cause your mother to forget important dates or events that are critical to her long-term memory, such as her children’s birthdays, the correct way to use the microwave or the highways she needs to take to get home. However, this can happen in the short-term as well, such as the ability to recall online passwords, names of people she has recently met, appointments or the grocery list. Not all episodes of forgetfulness may be early signs of Alzheimer’s or other dementias, it may just be normal aging. However, multiple experiences that accumulate over time may be cause to visit a physician to discuss the symptoms and possible need for testing. If you have more questions or realize it’s time for additional assistance please visit one of our communities today.